We all have a website, numerous email accounts, numerous social media profiles, and we all use a computer of some sort (laptop, phone, tablet). If any one of the things gets taken over by someone that isn’t you then they can ruin your business, and potential cost you millions of dollars. You don’t want that to happen, let me give you some easy to follow tips to make sure only you have access. Two-factor is having a second device that you need to login to your account. This could be a phone, a device or something else that isn’t your password. That way if someone gets your password they can’t login to your account without that second device. Check out https://twofactorauth.org/ to see if how you can enable 2FA on a site that you use. You are currently using a browser to read this (Firefox, Chrome, Internet Explorer are the most popular) and with most browsers you can install addons that people have created for any number of reasons. There are 3 that I encourage everyone to install, they are just install and let it run in the background. You can always turn them off if you need to for some reason. I suggest you install HTTPS Everywhere which makes sure you are securely connected to the website you are visiting. Privacy Badger blocks sites that are malicious or may track you. uBlock Origin blocks ads so they can’t track you since every ad is to another website and you never know what they are tracking. You probably use Facebook or another social network and you use your real name. People can now search your name on Google and see what stuff you do on Facebook (what pages you have liked, what groups you are a part of, your profile picture) this stuff you can’t set to private but you can give Facebook (and other people) less information about yourself. For example, join less groups (or get the group to be set to secret), like less pages (Facebook knows what pages you and your friends like so it has ads about other pages in order to get more information about you). I suggest you either set everything to just be for your company name, or limit what information you put online. Take notice of what is set to public because it is now searched using Google and may other companies now have that information as well. You probably have a website and you had to register it using your real name, address, credit card number and more. There are websites which will tell you that information for free. 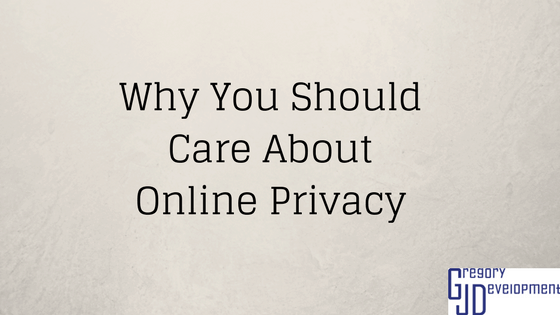 I know it’s scary, but then they created the system for websites they didn’t care about online privacy. Go to where you bought the domain from, and look for whois privacy and pay it for. 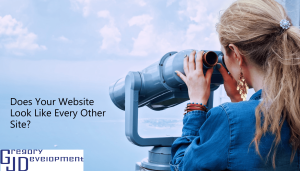 Now if people search for your website they will not see your information but remember that somewhere has the past information and there is nothing you can do about it. Just remember for next time. You probably use the same password for every single site (don’t worry your secret is safe with me) but if someone figures out your password to your facebook then they can get into your email, bank and anything else. Writing the passwords down (in an excel file, text file or on a notepad) is the worst thing that you can do but there is a straightforward way to solve this issue and have good passwords. Install a password manager, put all your passwords in there, then change the password on all sites (to a random password that the manager suggests). I suggest LastPass or 1Password or KeePass, but you can really use any manager if you trust it and it can generate and store passwords. I know it’s a lot to take in and change, but it will really help you and your business. 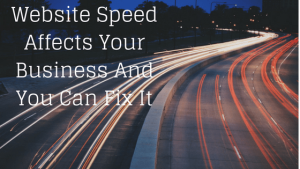 Think of it as a long-term investment that maybe one day could save your business tons of money. 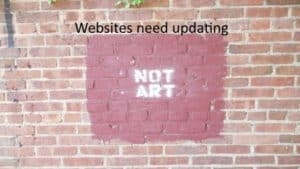 Next PostHow Often Should You Update An WordPress Website And Why?